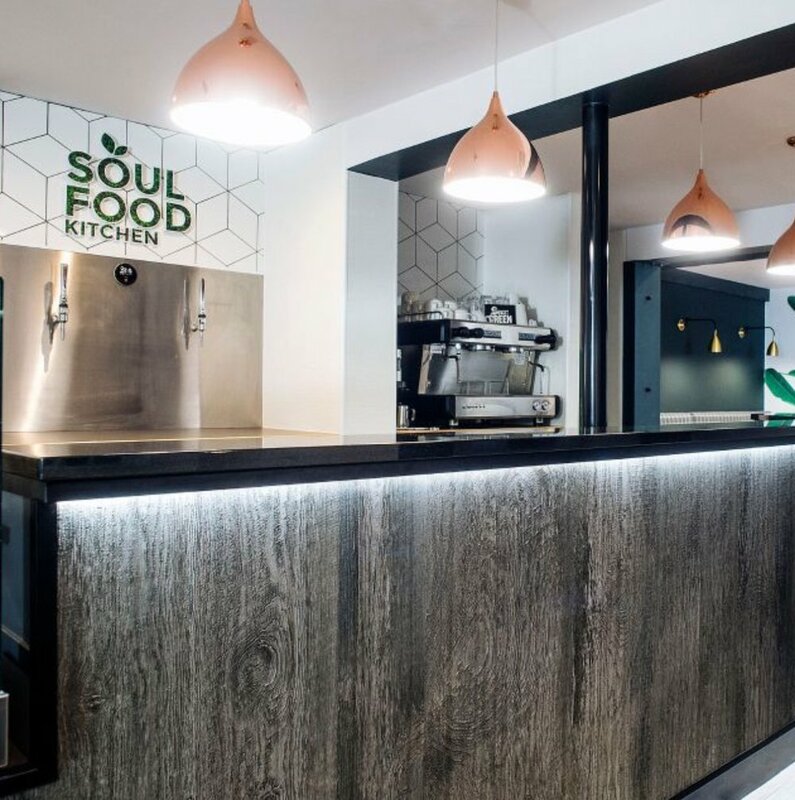 Soul Food Kitchen is based in the heart of Glasgow's trendy Finnieston area. This superb 100% plant-based restaurant was established with health and wellbeing at it's core. This highly creditable operation has a commitment to inspire, motivate and create a space where people can come together to form a community of like-minded souls, whose aim is to live in a more balanced and healthy way. 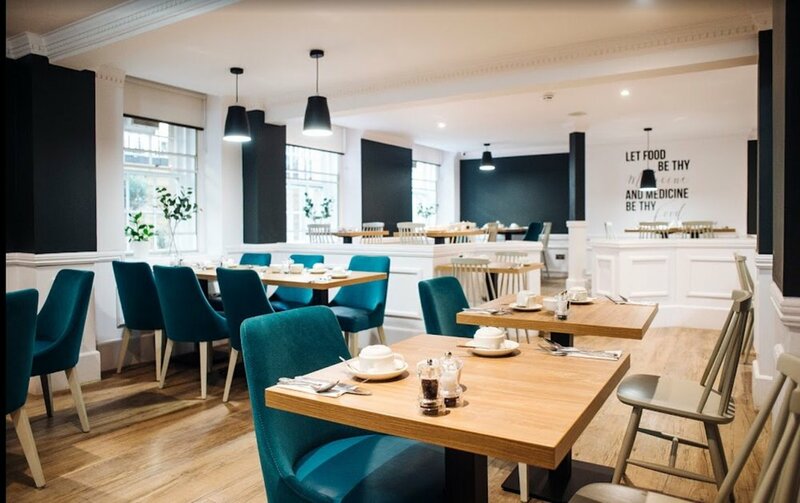 Having worked with the owners for many years in other successful ventures, Select were once again nominated to completely overhaul the restaurant area and create a fresh innovative look to suit the new brand. 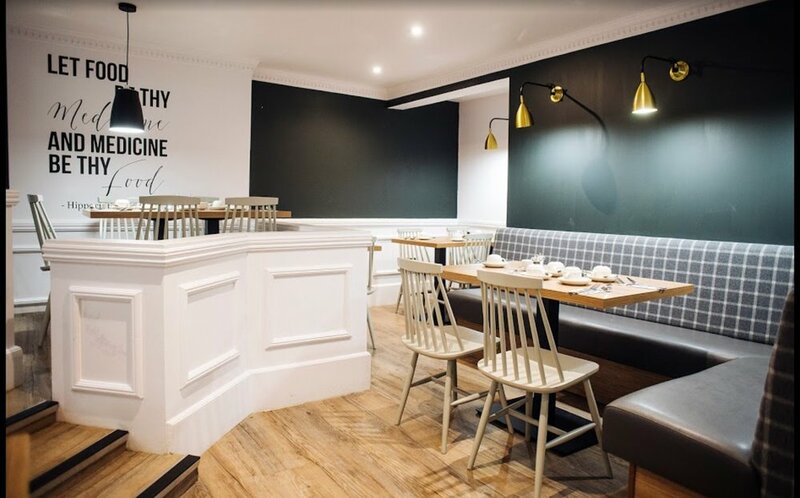 The work carried out by Select included the manufacture of a new bar/servery with granite top, supply and fit of contract quality timber plank effect flooring, heat and scratch-resistant tables, chairs, stools, lighting plus fixed seating complete with 100% feature wool fabric.